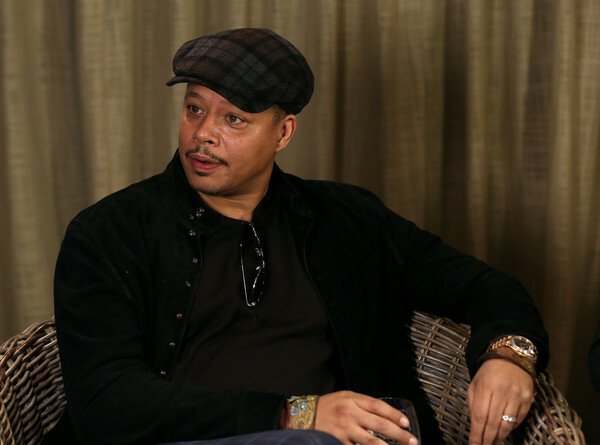 Terrence Howard discusses Fox’s hit show ‘Empire’ at SCAD Atlanta’s aTVfest. Terrence Howard is back on television and loving every minute of it. The man who is as well-known for his tremendous acting ability (The Butler, Ray, Hustle & Flow, The Best Man, Pride) on-screen as he is for his difficult life offscreen is back on the small screen as Lucious Lyon, the patriarch of a musical empire in Fox’s ratings juggernaut Empire. Howard is no stranger to television, having starred in HBO’s award-winning miniseries Lackawanna Blues and ABC’s Their Eyes Were Watching God, both based on iconic literary works. His last foray into network television on the short-lived television series Law & Order: Los Angeles made many wonder if Howard would ever return to television in a weekly series. The Root: What brought you back to TV? Terrence Howard: This world we’re living in today—there is no distinction between whether you’re onstage, film, or on TV. I’ve played the movie star, or attempted to be a movie star and all of that. The work that I find on this show is more challenging than 90 percent of the roles in film, and that’s what you want as an artist. You want to continue to be challenged. Every week I’m challenged to see if I can keep up with Lee’s [Empire creator and executive producer Lee Daniels] imagination. With Lee’s creativity and Danny’s [Danny Strong, writer and executive producer] broad view of how he sees the world, I find myself growing as an artist in this place. TR: What’s your favorite and least favorite thing about playing the character of Lucious Lyon? TH: I love the fact that Lucious is unapologetic about who he is, and that Lee has given him a backbone of pure determination. I love that about him. What I don’t like about him is his inability to connect with the people that really mean the most to him. He’s definitely trying to reach some of his people but cannot connect with people he should. That’s what I also love about him. I love that you struggle with trying to connect and that you can’t, because it’s the human condition. Not everybody is like us. We can connect. There are people that are like him, that simply can’t, and you are portraying that. It’s really hard for me not to connect. So when I see a character not doing it, it’s beautiful. Read the article in its entirety at The Root.